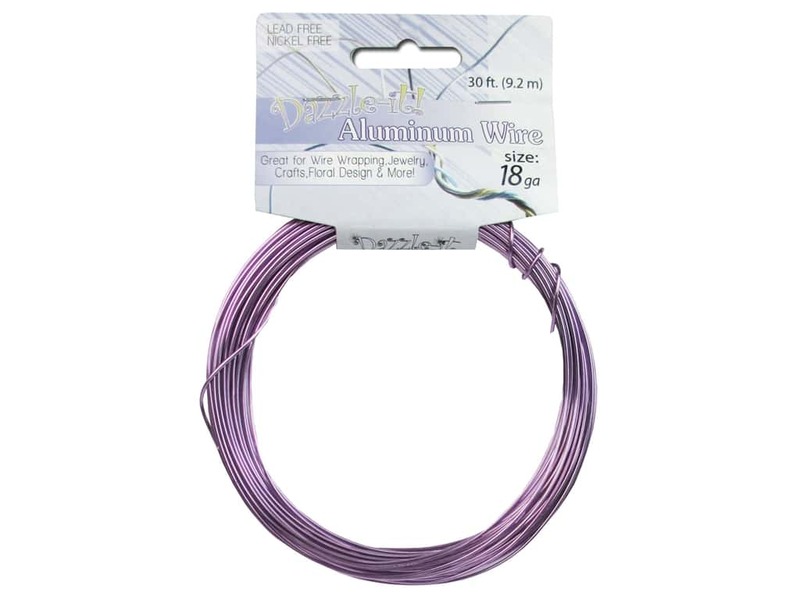 Description: Dazzle It Aluminum Wire is a colored, flexible wire that makes it easy to create pieces of art, embellishments on greeting cards, jewelry, home decor, and floral designs. This wire is lead-free, nickel-free. 18 gauge, 1.2 mm. Round. 30 feet. Purple. See more Dazzle It Aluminum Wire.